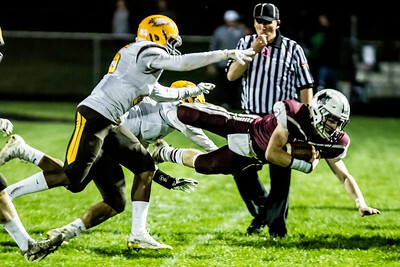 Sarah Nader - snader@shawmedia.com Jacobs' Luke Benner dives for the ball during the first quarter at Friday's game against Prairie Ridge Oct. 13, 2017. Prairie Ridge won, 30-16. 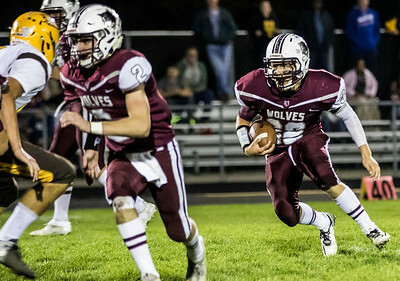 Sarah Nader - snader@shawmedia.com Prairie RIdge's Zach Gulbransen runs the ball during the second quarter at Friday's game against Jacobs Oct. 13, 2017. Prairie Ridge won, 30-16. 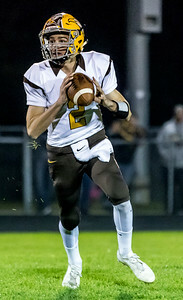 Sarah Nader - snader@shawmedia.com Jacobs' quarterback Anthony Wilson gets ready to throw a pass during the first quarter at Friday's game against Prairie Ridge Oct. 13, 2017. Prairie Ridge won, 30-16. 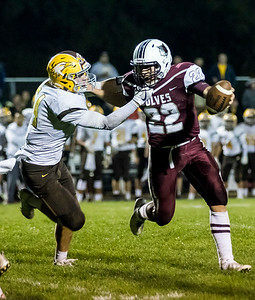 Sarah Nader - snader@shawmedia.com Prairie Ridge's Samson Evans pushes off Jacobs' Kaiden O'Connor while he runs the ball during the second quarter at Friday's game Oct. 13, 2017. 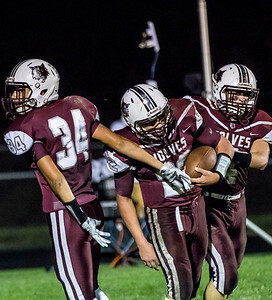 Prairie Ridge won, 30-16. 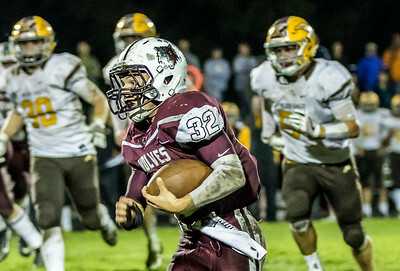 Sarah Nader - snader@shawmedia.com Prairie Ridge's Zach Gulbransen runs the ball during the third quarter at Friday's game against Jacobs Oct. 13, 2017. 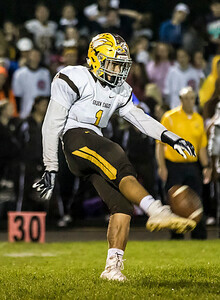 Prairie Ridge won, 30-16. 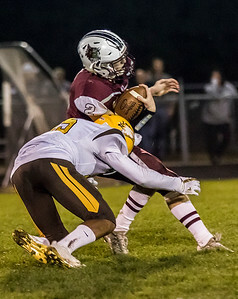 Sarah Nader - snader@shawmedia.com Prairie Ridge's Ethan Kirchberg is forced out of bounds during the third quarter at Friday's game against Jacobs Oct. 13, 2017. Prairie Ridge won, 30-16. 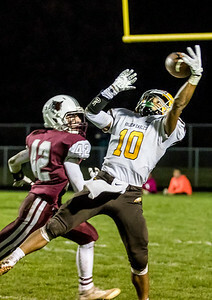 Sarah Nader - snader@shawmedia.com Jacobs' Jermaine Maegdlin-Ferguson punts the ball during the third quarter at Friday's game against Prairie Ridge Oct. 13, 2017. Prairie Ridge won, 30-16. Sarah Nader - snader@shawmedia.com Prairie Ridge's Drew Fryer (left) watches as Jacobs' Caleb Walker drops the pass to him during the second quarter at Friday's game Oct. 13, 2017. Prairie Ridge won, 30-16. 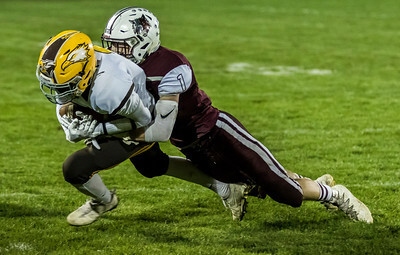 Sarah Nader - snader@shawmedia.com Jacobs' Nicholas Desmond (left) is tackled by Prairie Ridge's Drew Norton during the second quarter at Friday's game Oct. 13, 2017. Prairie Ridge won, 30-16. 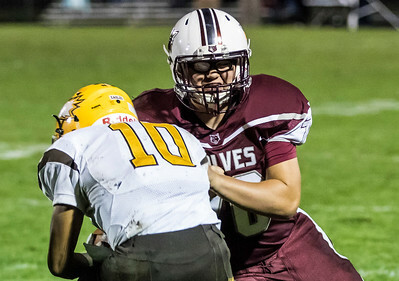 Sarah Nader - snader@shawmedia.com Prairie RIdge's Jackson Rietz tackled Jacobs' Caleb Walker during the second quarter at Friday's game Oct. 13, 2017. Prairie Ridge won, 30-16. 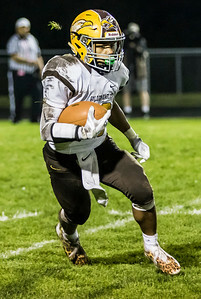 Sarah Nader - snader@shawmedia.com Jacobs' Caleb Walker runs the ball during the second quarter at Friday's game against Prairie Ridge Oct. 13, 2017. Prairie Ridge won, 30-16. Sarah Nader - snader@shawmedia.com Jacobs' Jukauri Bland tackles Prairie RIdge's Ethan Kirchberg while he runs the ball during the second quarter at Friday's game Oct. 13, 2017. Prairie Ridge won, 30-16. Sarah Nader - snader@shawmedia.com Prairie Ridge's Samson Evans (center) celebrates a touchdown during the third quarter at Friday's game against Jacobs Oct. 13, 2017. Prairie Ridge won, 30-16. 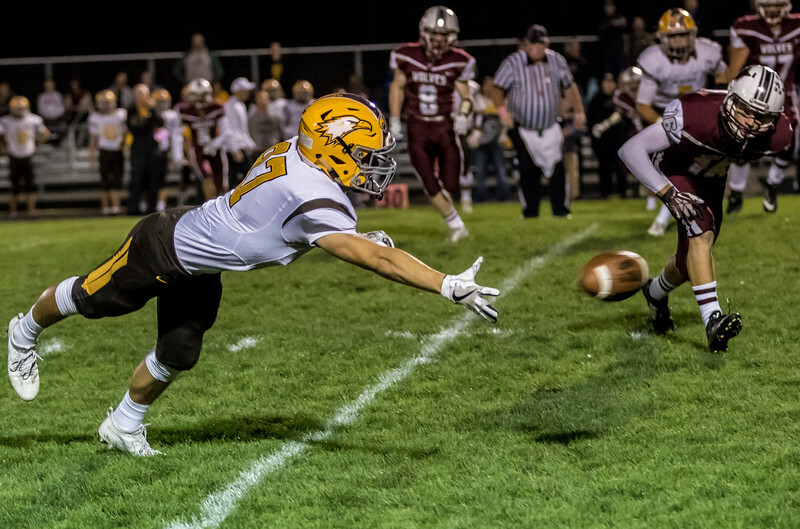 Jacobs' Luke Benner dives for the ball during the first quarter at Friday's game against Prairie Ridge Oct. 13, 2017. Prairie Ridge won, 30-16.